A conference is an event which is large and usually has an agenda to be managed for the long-term. An agenda is a list of meeting activity in the order in which they are to be taken up, beginning with the call to order and ending with adjournment. Organizations, groups, and companies all have conferences which are usually held a couple of times every year. 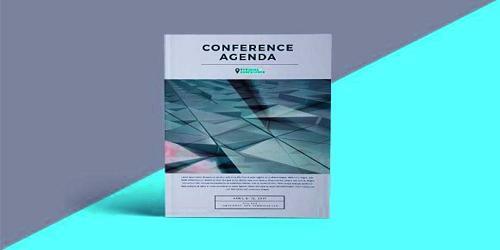 The conference agenda is the backbone of the event content. Conferences can be considered as special and therefore the organizers need to have clear goals and objectives in mind. A conference is generally understood as a meeting of several people to discuss a particular topic. The best way for organizers to have everything under control would be to create a conference agenda which will detail the reasons why the conference has been arranged. Most conferences have one or more keynote speakers who will deliver the keynote speech. It is important that the organizers provide the invitees with information on the reasons why the conference is being held. There is a requirement for the organizers to give the invitees sufficient time to prepare for the conference and therefore the agenda for the same also needs to be prepared in advance. These are common at academic and business conferences. The organizers cannot expect the invitees to attend the conference without having proper information about the subjects which will be discussed. For the smooth running of a conference, meticulous planning must be carried out well in advance. The agenda of the conference would be a motivating factor for the invitees to decide whether they should even consider participating in or ignore the conference altogether. All important aspects of the conference must be covered, so it is better to maintain a checklist. Having a group of uninterested participants will not be beneficial to the organizers especially when they have not bothered to forward a conference agenda. An agenda for a conference can be forwarded to various people who could be representing companies, organizations, parents of children and groups of people that are interested in a particular subject. The conference agenda can be prepared by any individual who is fully aware of the subject being proposed to be discussed at the conference. The planning works better when individuals in the planning and administrative committee have clear roles and responsibilities assigned. It is also essential for the individual to have information about the type of people that should be invited apart from some knowledge about preparing a conference agenda which will interest the invitees.